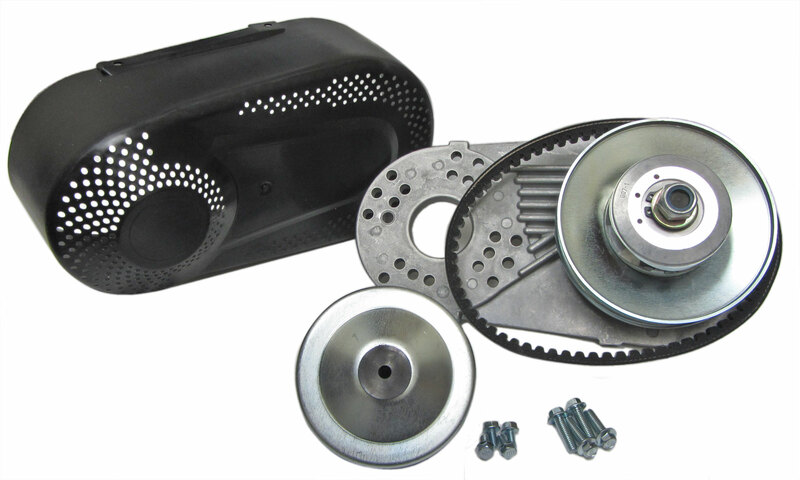 This asymmetric torque converter design has been very popular the past 30 yrs, and has been used on many different brands of 5 - 9 HP small engines, go-karts, and mini bikes. This torque converter is an asymmetrical inline small engine clutch that will help you get more power out of your small engine by reducing engine load. A torque converter acts similar to a transmission, allows higher speeds out of your small engine, and smoother acceleration. Engagement range is approximately 2350 RPM; however, this can be adjusted from Minimum 1200 RPM - Maximum 3100 RPM by changing out springs (not included) and other adjustments. 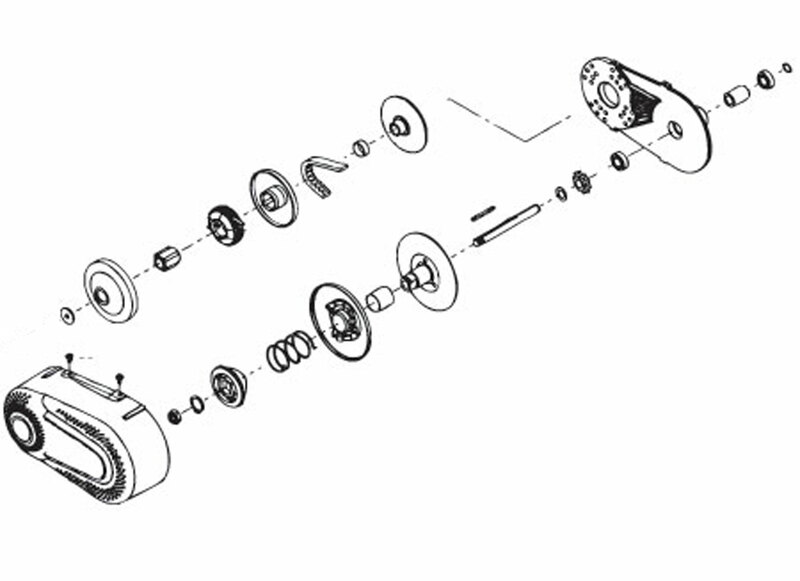 Our torque converter fits a 1" shaft and comes with a 12 tooth sprocket for a 35 chain. It will work with small engines producing 5.5 HP - 9 HP. Pilot Washer has a 5/16" bore, may need to be drilled out to 3/8" to work with some 1" crankshafts.